Why is ESFNA festival missing in most online Medias? Strange thing is happening to the 2015 Ethiopian Sport Federation in North America this year. Most of the online Medias that post irrelevant news, dramas and all kinds of diversions buried their head not to cover the largest and the most popular Ethiopians gathering anywhere in the world. What possible reason any Media would ignore the most important events in North America? You guessed it; as I have been saying; the online Medias should be investigated one by one for “Head in the sand journalism? “ Here again the most important festival in North America is missing. In short, they don’t want Ethiopians to come together to celebrate and enjoy their people’s companions and love of country. The last time I checked that is what Woyane continue to do for the last 40 years. Does it mean; if it looks like a duck, swims like a duck, and quacks like a duck it is a duck…in short are the Medias becoming like Woyane? The way I see it; looking at most of the online Media I wouldn’t know the festival is being held this week (from June 28-July 4). According to ESFNA this year festival is bigger than ever. Ethiopian day would be the biggest celebration never seen in the 32 years history of the Federation. 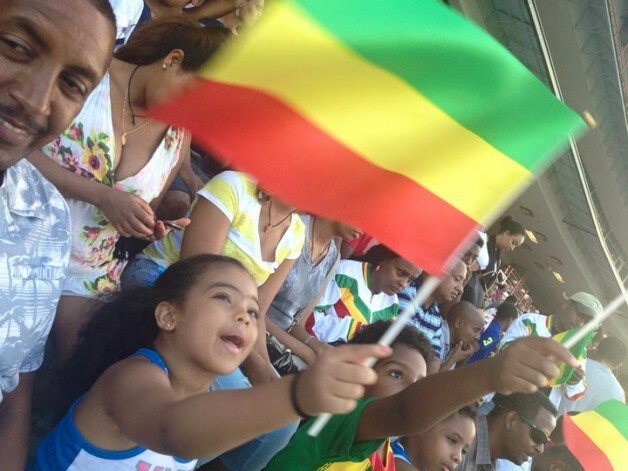 No single events bring Ethiopian together like ESFNA outside Ethiopia. Many more events surrounding the festival are schedule for get together; political, religious, civic organizations get together, art, fashion poet reading to mention a few. If such extravaganza is not news to be promoted to bring more Ethiopians together what could possibly be worthy of news for Ethiopians? I looked over 10 online Media and found, except two none of them even mention the festival exists. Some are so desperate for anything to post daily they choose drama, comedy, individual stories, news that happened in foreign nations. Even the Washington DC based online Medias skipped the festival altogether while the local American Medias cover the biggest events in the Washington DC area with arms opened. One wonders why Medias that consider themselves Ethiopian don’t want Ethiopians to come together celebrating their people. Is Woyane has something to do with it? You be the judge for yourself and demand an explanation from one and all. It is time to demand the Medias to shape up or ship out. If they are bribed or politically motivated to keep quite sooner or later they will be caught. If you ask me, there is no whatsoever excuse a Media skips the most popular gathering of Ethiopians in the Diaspora unless it has an agenda. Let us be there to celebrate the Ethiopian Sports Federation in North America (ESFNA) 2015, Washington DC: with the largest Ethiopian flag display in the history of our nation and enjoy our people’s unity.